Lines and points. Spaces between volumes. Creation in harmony with the context, never neglecting it. In connection with what we can touch, what we can see, what we can breathe in, with the surroundings, the subsoil, the heights of air in the treetops, silence and sound, what stirs our emotions. Just like nature does. Like how a poem is written. Like how beauty emerges. Like how RCR builds: their architecture develops like the annual rings in a tree trunk, and they manage to generate harmony between materiality and empty space, between landscape and human construction, between interior and exterior, between stone and silence, between what is and what we dream there might be. This year, Catalonia in Venice has a lot to celebrate as it brims with content, presenting Dream and Nature by RCR, the studio founded by Rafael Aranda, Carme Pigem and Ramon Vilalta, winners of the 2017 Pritzker Prize. The 16th edition of the Venice Architecture Biennale in 2018, curated by Yvonne Farrell and Shelley McNamara, pays homage to architecture that shows a generosity of spirit, and RCR are a point of reference in that regard: they create spaces that protect and shelter their inhabitants, that respect the fragility of the planet, and that transform the experience of the built environment into a spiritual longing – a dream of nature. RCR’s designs and buildings leave no one indifferent: their forms take us by surprise, their contrasts tug at us, their atmospheres envelop us. Like the false thrusts of fencers, harmless and bloodless, their beauty thrills us. Perhaps because they’ve managed to make their dreams a reality? 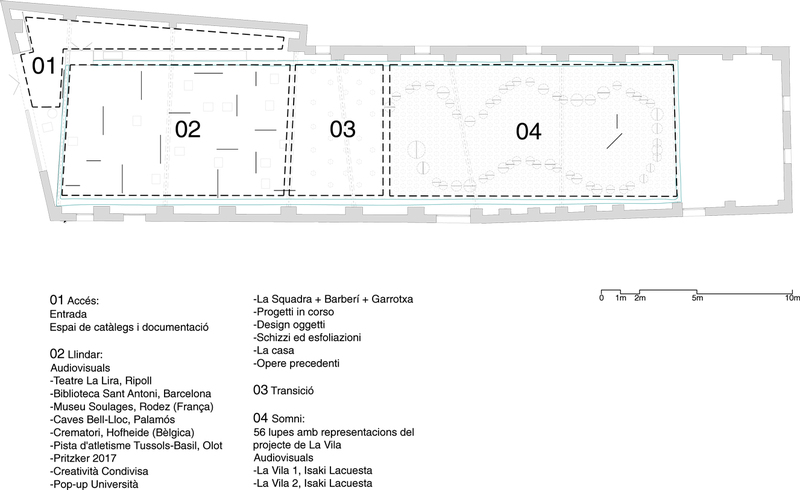 The Institut Ramon Llull has produced and organized Catalonia's participation in the Eventi Collaterali of La Biennale di Venezia since 2009, and has been present at the Biennale Architettura since 2012. With RCR. Dream and Nature_ Catalonia in Venice the Institut Ramon Llull is participating for the fourth time in the Muestra Internazionale di Architettura. In 2016 they presented Aftermath_Catalonia in Venice. Architecture beyond Architects, curated by Jaume Prat and Jelena Prokopljević along with the film director Isaki Lacuesta. The Institut Ramon Llull is a consortium formed by the Government of Catalonia, the autonomous community of the Balearic Islands, and the Barcelona City Council, and it is dedicated to promoting the Catalan language and culture abroad. It works to give international visibility to writers and artists, to promote artistic and cultural exchanges, as well as giving Catalan language and literature courses at universities.